This year has been something of a watershed, with a number of merchants – some of them retail giants with billions of dollars in revenue – deciding to accept bitcoin in exchange for goods and services. Many of them are online e-commerce sites, but an increasing number of bricks-and-mortar stores are also now accepting cryptocurrency. While in the past trying to find a bitcoin-accepting merchant for the item you want was often tricky or even impossible, there are now growing options for people who don’t wish to pick their way through hundreds of listings just to find products vaguely approximating those they want. The best way to find bitcoin-accepting merchants is via marketplaces and aggregator sites that gather large numbers of supporting establishments together at once. CoinMap.org also offers a visual way to locate bitcoin stores in any geographical area, and new businesses are appearing all the time. However, CoinDesk has summed up some of the more notable examples of both online and real-world stores in the guide below. In previous guides, we’ve told you how to mine bitcoin, and how to buy it. However you acquired your digital currency, if it’s not purely an investment, you’re going to want to spend it at some point. So, what can you buy with bitcoin? Global computing giant Microsoft added bitcoin as a payment option for a variety of digital content across its online platforms in December 2104. According to the company’s payments information page, US-based customers can now use bitcoin to add money to their accounts, which can then be used to purchase content like apps, games and videos from its Windows, Windows Phone and Xbox platforms. Dell, the multinational computer technology specialist, announced in July that it is accepting bitcoin through a partnership with Coinbase. As an introductory offer, people buying with bitcoin will get a price reduction of 10% on high-end Alienware PCs. With annual revenue approaching $57bn, Dell is roughly four times the size of DISH Network – the previous biggest bitcoin-accepting business. Overstock became the first major retailer to accept bitcoin when it made the announcement back in January 2104. The firm offers everything from furniture to jewellery to electronics. Prices are in dollars but there is an option to pay in BTC on the checkout page. Initially a US-only offering, the firm opened up bitcoin purchases to over 100 countries in September. Newegg, also a retail giant, is a Los Angeles-based company that recorded $2.8bn in annual revenue in 2013. It specialises in computer hardware and software, but also sells a variety of appliances and goods. Showroomprive.com became the largest European company to start accepting payment in bitcoin in September 2014. The merchant, which sells a variety of products including clothes, fashion accessories, cosmetics and homeware, is to accept bitcoin via European cryptocurrency company Paymium. At the time of the announcement, its websites in France and the Netherlands were accepting bitcoin, with other countries to follow over coming weeks. It has not yet announced a plan to integrate the digital currency with its mobile app platform. TigerDirect, the online retailer of computers and consumer electronics now accepts payments in bitcoin. This is handy, perhaps, for miners who can buy kit with coin they have mined. Monoprix is a major French retail chain that has announced plans to start accepting bitcoin payments on its merchant website this year. The company further indicated that it is also working on a mobile payment solution for physical stores and bitcoin could eventually be used there too. Bitcoinshop.us offers products from air-conditioners to watches, all priced in bitcoin (and, as of July 14th 2104, litecoin and dogecoin too), for those wanting to make a purchase. The catch: it only ships to people in the continental US. BitcoinStore.com sells electronics and ships internationally, but you should check its shipping rates for your country before ordering. Memory Dealers carries a range of networking hardware equipment and computer memory. It has been a ‘bitcoin believer’ from the beginning. AirBaltic, the Latvian airline, may be the first to accept payments in bitcoin, after starting accepting the cryptocurrency on 17th July. A company representative said that the bitcoin payment option is offered for basic class fares, excluding China, Indonesia, India, Iceland, Jordan, Japan, Lebanon, Malaysia, Russia, Taiwan and Vietnam. After initially and controversially charging a fee of 5.99 euros per bitcoin transaction, airBaltic changed its mind and now has no fee. Air Lituanica, another Eastern European airline, is now accepting bitcoin for flight tickets as part of its ongoing bid to embrace new and innovative methods of serving customers. CheapAir.com, the California-based online travel booking website, started taking bitcoin in November 2013 and announced in July that it has completed more than $1.5m in bitcoin sales on flights, around 200,000 hotels and Amtrak railway bookings via its platform. BTCTrip is an online flight and hotel booking service that was one of the first in its industry to serve the bitcoin community. As of August 2014, the firm also accepts payments in dogecoin and litecoin. The UK’s Theatre Tickets Direct has recently started accepting bitcoin, offering a ticket booking service for mostly London shows, such as West End theatre and musicals. Honest Brew is a UK-based online beer platform that specialises in craft beers from its own and guest breweries – including quirky labels like Weird Beard, BrewDog and Pressure Drop. Coco Mats ’n More offers bitcoin-logoed doormats for fans of the cryptocurrency, as well as ‘Bitcoin Accepted Here’ mats for merchants wanting to advertise the payment option. CoinDesk frequently discovers interesting local sellers: Keystone Pet Place will handle all your pet’s needs, The Java Nomad will ship you fresh coffee beans from Bali and Persian Shoes will sell you handmade shoes and bags from Iran. Several local, niche merchants accept bitcoin only and will not/cannot accept fiat currency. The good news is that there are hundreds of small retailers accepting bitcoin too. Coinmap, Spendbitcoins.com and UseBitcoins.info keep up-to-date databases of these shopping destinations. If you can’t find physical or online stores that accept bitcoin directly for the item(s) your require, the easiest way to turn your digital currency into ‘real-world’ goods and services is via gift cards. Plenty of gift card businesses accept bitcoins and these cards can be used at a surprising number of major retailers like Walmart, Amazon, Target and Nike. For US customers, companies like Gyft, eGifter, iTradeBTC and GiftCardZen have the widest range of options, and there are also store-specific card sellers like GiftcardBTC (for Amazon.com gift cards). In the UK, Pockio lets customers use 15 cryptocurrencies to buy gift cards for 177 retailers, such as Amazon, Marks & Spencer, Ryan Air, and American Apparel. The service is currently rolling out to the EU too, with France and Germany being first to receive a more limited number of gift card options. More countries and retailers are planned to follow soon. Note: many gift cards are only valid in their country of issue, which is usually the United States (although overseas shoppers may still make purchases with gift cards from US retailers in many cases). Other countries have their own options; for example, Australians can see what’s available at Bitcoin Gift Cards. You will usually pay a little more to trade your bitcoins for gift cards (around 5-10% is normal) but on the upside, you don’t need to deal with exchanges or transfers. Some sites, like Europe’s BitCC, will exchange bitcoins for disposable prepaid debit cards. REEDS Jewelers, a large jewelery chain in the US, is one of the most notable merchants to accept bitcoin as a form of payment. The firm is headquartered in Wilmington, North Carolina, and has 64 retail locations in the eastern US, as well as an online presence. The retailer, which has been in business since 1946, is allowing its customers to pay using bitcoin both in-store and online. CeX, a UK technology exchange and retailer, launched a one-store bitcoin-only payments initiative in Glasgow this May, as well as Scotland’s first bitcoin ATM. It has now rolled out ongoing bitcoin acceptance to 30 stores across Britain, with more to follow soon. The Sacramento Kings NBA franchise accepts bitcoin for products including tickets, jerseys, hot dogs and beer. The team says it will accept the currency online and at the Sleep Train Arena, its home stadium. The San Jose Earthquakes, a soccer club from California, implemented bitcoin integration at the team’s Buck Shaw Stadium on 25th May. Coinbase is acting as the stadium’s bitcoin payments processor, leveraging the exchange’s tablet app to accept payments. Game attendees can use bitcoin to buy tickets at the box office and additionally pay for concessions at certain locations and buy merchandise at the stadium gift shop. Perhaps stretching the definition of a store, a private hospital in Warsaw, Poland, which is run by the Medicover Group, will soon let patients pay their bills in bitcoin. The medical facility is probably the first to accept payments for the full range of healthcare services, including major surgery. Check out CoinMap.org for a large number of smaller bricks-and-mortar bitcoin stores across the globe. One of the dreams of the cryptocurrency community is to be able to travel – across borders, perhaps –and to be able to pay in bitcoin. 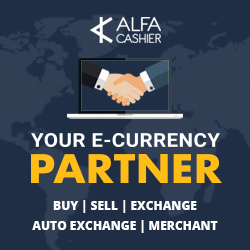 This would avoid having to visit currency exchanges and pay their commissions and fees, while also avoiding the need to carry much cash around. Now the dream is starting to take off, with notable names starting to welcome bitcoin onboard. Most notably, Expedia has announced it will soon accept bitcoin for all hotel bookings, making it the first major travel company to accept payments in cryptocurrency. Expedia said bitcoin will be integrated into the payment options for customers at check-out, sitting alongside payment methods like PayPal and Visa. If all goes well, the company says it may expand the payments option to other areas of its business, including flights. A Holiday Inn hotel in Brooklyn, New York, is now accepting bitcoin payments in a pilot programme overseen by by bitcoin entrepreneur Charlie Shrem. The Park Slope Holiday Inn Express is located on Union Street in Brooklyn and bitcoin reservations are possible either by phone, online or in person. Again, if the pilot goes well, the chain should open up more hotels to bitcoin paying customers. Spanish chain One Shot Hotels has been accepting bitcoin payments since 1st October 2014 for its two locations in Madrid (one with its own bitcoin ATM). New branches in Barcelona, Valencia, Seville and London are planned for the future and will accept bitcoin too. Offering international investors the chance to buy UK properties with an extensive range of digital currencies, including bitcoin, Cai-Capital claims to be the first UK firm providing this facility. Targeting markets such as China, Russia and the Middle East, the Cheltenham-based company, which works in partnership with estate agent Hill-Mathieson & Partners, hopes that cryptocurrency payments will draw in new customers for the company’s sales, letting and property management services. Bars and restaurants that accept bitcoin remain the exception, rather than the rule. Luckily they’re usually great places to go. If you’re determined to spend your digital currency on a plate of fish and chips, or a cold beer, there are easy ways to find out where you can go. Bitcoin.Travel is a respected site, offering a mappable list of accommodation, apartments, attractions, bars, and beauty salons around the world. Coinmap also maintains a worldwide database of establishments. If you’re in London, UK, the Pembury Tavern is well known, as is the Old Fitzroy pub if you’re in Sydney, Australia. If you make it to Tokyo, you’ll find local bitcoiners dining out on bitcoin at The Pink Cow. For those who happen to be both peckish and located in London, a quick snack can be had for both bitcoin and dogecoin at the Burger Bear stall, which sells a range of artisan burgers and also caters for parties and events. The business has also just completed a crowdfunding campaign for more permanent establishment in the near future too. When it comes to food and drink, there are other ways to spend bitcoins, even if a restaurant doesn’t directly accept them. Foodler, a site enabling you to browse and order delivery and take-out meals from restaurants across the globe, has over 13,000 restaurants in 3,150 cities on its books. You can use bitcoins to pay for ‘Foodler credits’, which can be used at any of the restaurants. Takeaway.com, a European online food ordering site which employs over 100 people and reported a revenue of over €100m in 2012, announced in November 2103 that its website in the Netherlands was accepting payment in bitcoin via payment processor BitPay. Interestingly, we are starting to see nascent clusters of bitcoin-friendly establishments. For example, the Bitcoin-Kiez in Berlin is persuading local establishments in small numbers along the Graefekiez there to support bitcoin. Similarly, in the Netherlands, all of the businesses (nine restaurants and an art gallery) along two canal-side streets in the centre of the Hague have collectively started to accept bitcoin. Unofficially the two streets running along the canal – Bierkade and Groenewegje – have also changed their name to ‘Bitcoin Boulevard’. Another development that has recently seen large numbers of merchants joining the bitcoin space en masse is the adoption of the digital currency by payments platform providers. These companies offer businesses the ability to easily accept payments from customers by a variety of means, such as credit/debit cards and PayPal. The good news for the crypto community is that they are also starting to roll out bitcoin services too. The merchant may not necessarily have made the bitcoin functionality live on their stores yet, but many will have and more are bound to follow. Perhaps the biggest news of 2014 in this space was that, in September, PayPal announced partnerships with three major bitcoin payment processors – BitPay, Coinbase and GoCoin. The move means that online merchants will now be able to accept bitcoin via all three companies through its PayPal Payments Hub, a product that enables customers to accept credit cards, mobile carrier payments and other payment methods through a single integration. Popular e-commerce platform Shopify added a bitcoin payment option for its sellers in late 2013. With a base of over 70,000 online stores, the number of goods that can potentially be purchased with bitcoin suddenly expanded significantly. Strangely, finding them is not currently very easy, because the Shopify.com marketplace page no longer exists, however there is a list of 75 stores now accepting BTC on their blog. Commerce-as-a-service solutions provider Digital River, a company that processed more than $30bn in online transactions in 2013, announced in June that it was adding bitcoin as a payment option for its online merchants. The offering is now available to merchants using the Minnesota-based company’s SWREG solution for small and mid-sized businesses. Similarly, Mollie, a payments platform in the Benelux region has potentially opened up over 10,000 merchants to bitcoin buyers. US satellite service provider DISH Network announced that it will start accepting bitcoin payments later this year. The Colorado-based company is one of the biggest content providers in America, with more than 14 million pay-TV subscribers. DISH says bitcoin payments will be made available to all customers who decide to make one-time payments on mydish.com starting in the third quarter of 2014, but it has not yet revealed an exact date. Once it does, it will become the biggest company to accept bitcoin to date. Last year DISH Network Corporation reported revenue of $13.9bn. The company has more than 30,000 employees. Following its successful test with bitcoin micropayments provider BitWall back in February, the Chicago Sun-Times has announced that it has partnered with San Francisco-based bitcoin startup Coinbase to accept bitcoin payments for subscriptions. The announcement makes the Sun-Times the first US newspaper to accept bitcoin as a payment option. North Carolina-based cloud parking solutions provider PassportParking has been allowing parking operators to accept bitcoin payments for purchases for some time now. The company said that in doing so it will be the first company to facilitate bitcoin acceptance in exchange for parking at metered spaces and lots. The company serves 75 clients in 35 US states, who now have the option to enroll in the service. A property listings site in the US gives a discount to users who advertise on the site and pay in bitcoin. The listings site, called RentHop, is offering landlords and agents who advertise properties in New York a discount of up to 60% if they pay for their adverts in bitcoin. RentHop customers pay for ads with credits purchased from the site. How about paying for education with bitcoin? Orlando, Florida-based online interactive education specialist Treehouse now accepts bitcoin for its subscription web design and web development education services. The firm, which to date has raised $24.6m through six funding rounds, boasts 70,000 students who use the platform to learn valuable skills in languages and software such as Android, CSS, HTML, Java, jQuery, iOS and Ruby, among others. And if you’re looking for friends or love, OKCupid, the matchmaking site, began accepting bitcoin payment way in April 2103, making it an extremely early adopter as far as large companies go. With four million users as of 2013, OKCupid is part of IAC, a media and Internet company whose holdings include Ask.com, Vimeo and Match.com. While OKCupid boasts of being completely free, it also offers an ‘A-List’ premium subscription that brings extra features which can be paid in cryptocurrency. “The most dangerous global sorority of beautiful pin-up girls that has ever existed” is now accepting bitcoin for its membership subscriptions. SuicideGirls is a popular adult-themed online community that bills itself as a celebration of alternative lifestyles and female empowerment. Some 2,624 SuicideGirls provide photos, video and blog posts to the website. Further, the larger brand has expanded from photography and video to include comic books, magazines and books since its launch in 2001. Perhaps not surprisingly for a movement that requires a fair bit of technical know-how, bitcoin has garnered a lot of support from the online services community. Hosting companies in particular are willing to give your website or server a home on the Internet in exchange for bitcoin. The bitcoin wiki has a good list. WordPress is among the most visible and popular sites, and will offer you a blogging presence online for payment in cryptocurrency. You can also go to BitcoinCodes to buy credits for Steam, Spotify, XBoxLive, PlayStation Network and AirVPN. Namecheap accepts bitcoin directly as payment for domain services. If you want a little more privacy online, several VPN (virtual private network) providers now accept only bitcoin after being blocked by credit card companies and PayPal. One of the biggest destinations for people’s bitcoin is online gambling. It’s fast, with an immediate return (or loss) and bets can start relatively small. When done properly, it’s also easy to prove that bets are fair – either by tracking payouts in the block chain, or by using external proof. SatoshiDice has been the most popular online gambling site. Users mail money to one of a set of addresses, and in return they get a payout based on the probability of winning. Others include PeerBet – which accepts a host of cryptocurrencies other than bitcoin – plus Just-Dice and BetCoin Dice. If you prefer your sound money in slightly heavier form, Amagi Metals has been trading bitcoins for precious metals since 2012. Based in Denver, the company sells bullion via its e-commerce site to almost anywhere in the world and says bitcoin is a great tool for promoting interest in financial responsibility. Online marketplaces are another way to spend bitcoins. They are effectively clearing houses that enable anyone to sell products to anyone else. It all started with Silk Road, an underground marketplace that enabled people to sell illicit goods and services using bitcoin. The site, only accessible via the Tor anonymous browsing system, capitalized on the currency’s ability to facilitate anonymous trades (if you know what you’re doing). Silk Road got shut down in October 2013 and promptly ‘returned’ a month later. If that’s not your game, there are more legitimate bitcoin marketplaces where you can spend your coins. Most of them are still in the fledgling stage and have a limited range of goods to offer, though. Bitcoin Market and Cryptothrift are two category-driven sites, albeit sparsely populated. Flibbr allows you to search listed products by name. Reddit offers a subthread called Bitmarket, that allows people to list their goods as Reddit posts. There are other, specialist sites popping up. BitPremier will sell your high-end luxury items for bitcoins, using an escrow service. It has an impressive selection of high-end listings including luxury cars, yachts, condos, antiques, and artworks. There is even an island for sale. Feel like giving your bitcoins away to a good cause, or to reward an interesting comment? Here’s The Sri Lanka Campaign for Peace and Justice, a London-based NGO that campaigns for “justice, human rights and reconciliation” in Sri Lanka, and Sean’s Outpost – a homeless shelter in Pensacola, Florida.